I’ve had this 75g tank since I started out about 5 years ago. 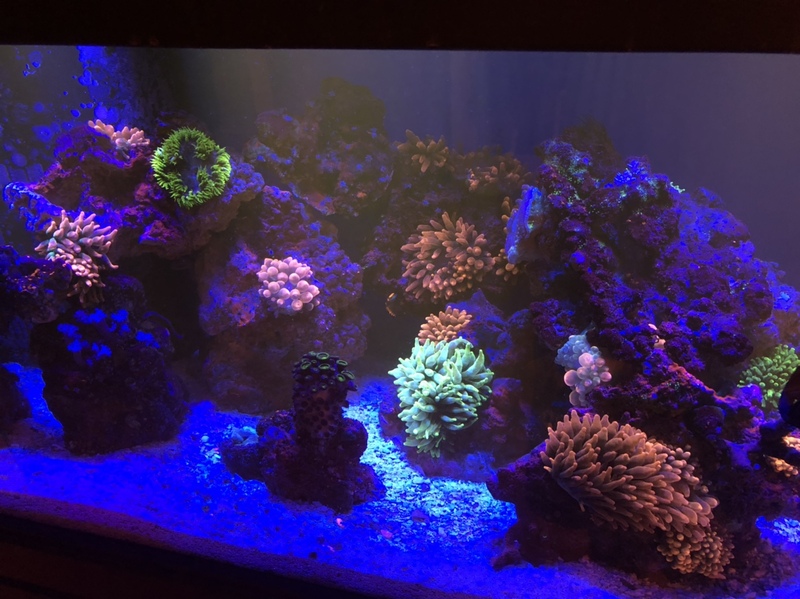 It went from fish only to softies to mixed reef then it got taken over by nems over time. 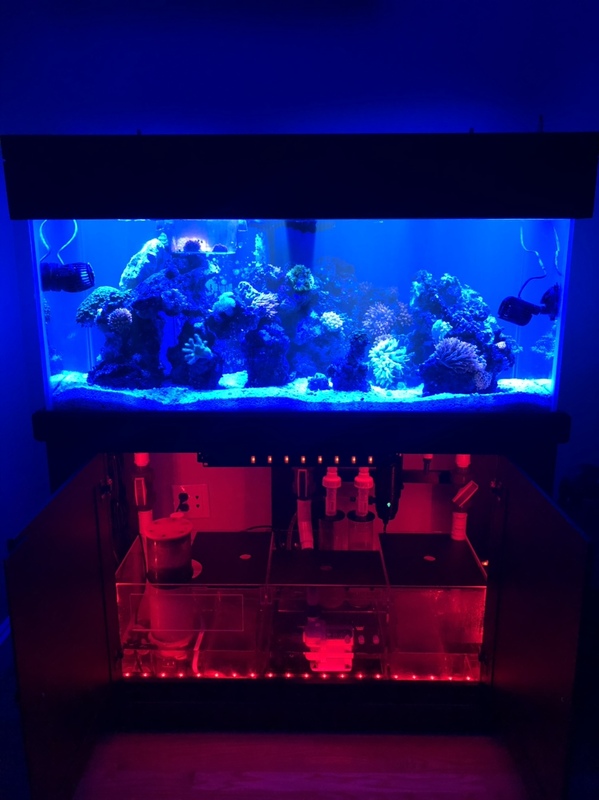 I ended up loving it that way, as I had other tanks with corals, so I let it be for a couple years. It’s been the most low maintenance tank I’ve had. 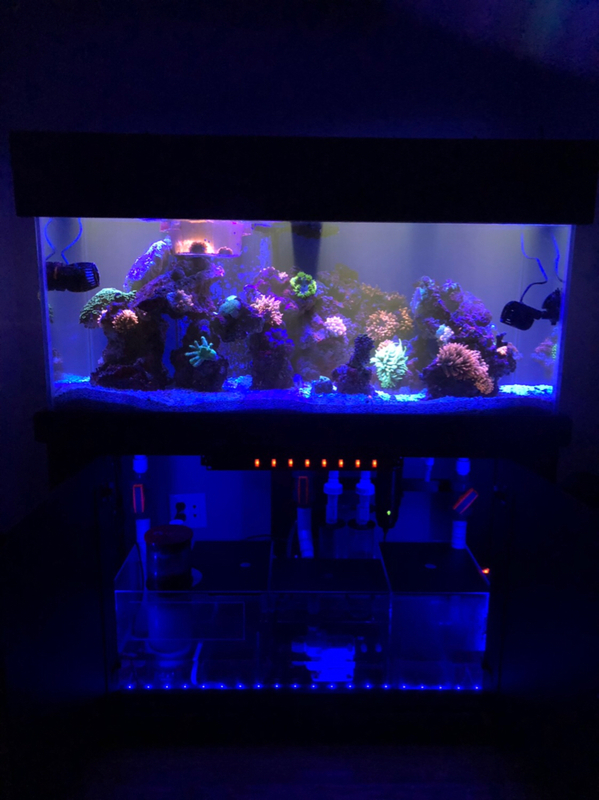 I decided it was time to give it some love since I felt like I neglected it a little bit (all fish and anemones were still doing great). 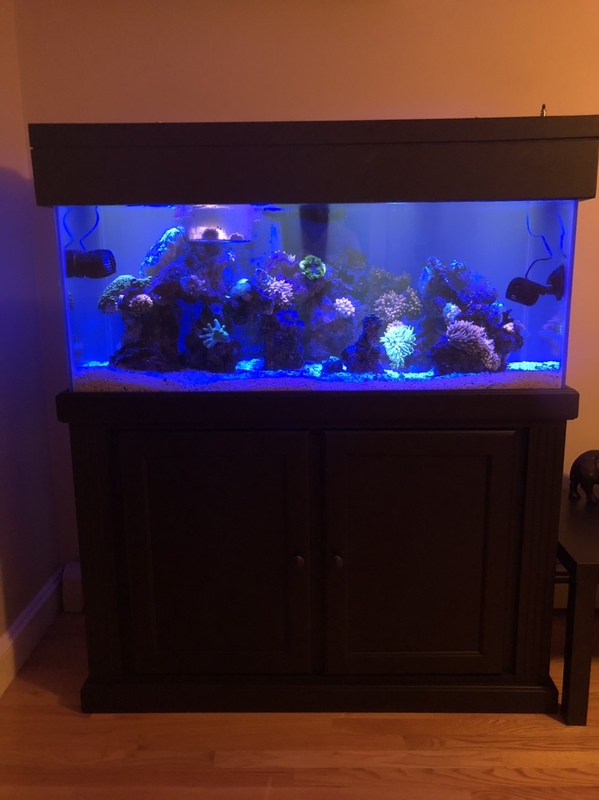 I changed out the tank from a corner overflow to middle ish one, and used a different stand than the standard 75g double door pine stand. This one is solid wood as well with no center brace and about 30” high. 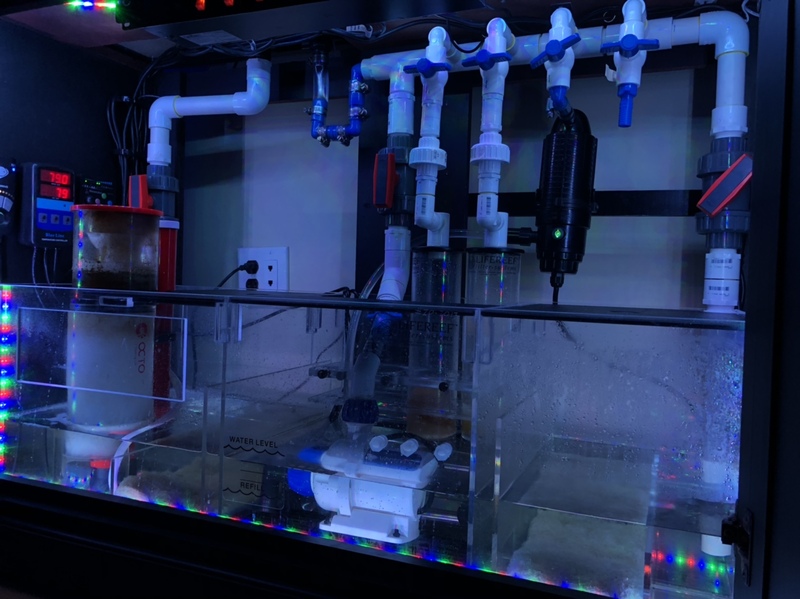 Also used a LifeReef sump I recently acquired from a fellow BRSer. Other than the plumbing, the rest of the equipment got carried over from the old system. I’m pretty stoked about how it came out. Check it out and let me know what you think! But where you put dose ? out side. i like how you light up the sump compartment. (from blue to white and to red, maybe green next . Thanks guys, I was shooting for the clean look. Let’s see if I can keep it that way. That’s a good point, I’ve been trying to figure that out myself. I wasn’t dosing this tank initially but I’ve been trying to figure out where to put ATO chamber and also a fuge too. I’ll fit dosing in there too if I can. There’s about 4” of space on each side of the sump, so I was thinking of building extra chambers out of plexi. One for ATO and one for a small fuge. Haven’t done that before so open to ideas if you guys have dealt with a similar issue.